Our guest speaker at our last meeting was Ken Matthews, a past president of Central Ocean Rotary. He presented a history of our club and brought us lots of memories from what our club was many years ago. 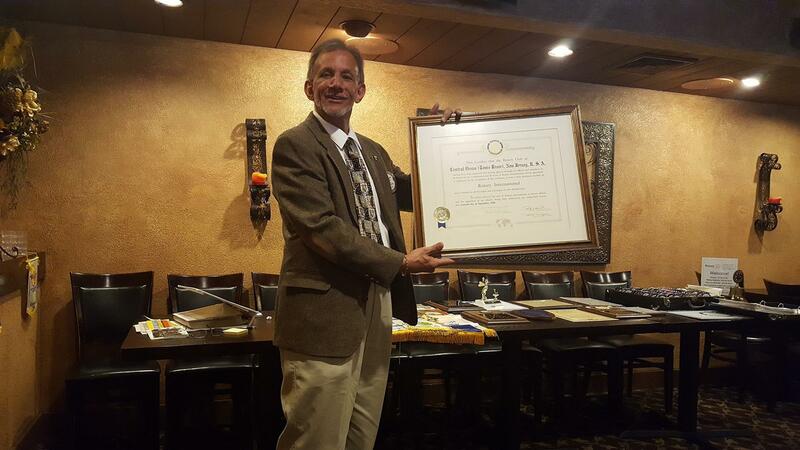 He made all of the current members proud to be Central Ocean Rotarians. Ken is pictured holding our club's charter, dating back to September 16th, 1980.